There are different room styles from 30 sqmeter up to 60 sq-meter Rooms for family up to 4 persons with 2 beds inside and rooms with single beds, and one suite with a living room and a extra sleeping, bath room and for private use an outdoor Jacuzzi bathtub. The fresh water is filtered and clean laundry is using a gas dryer no odor towels, bed sheets and blankets. Motorbike rental service is available. 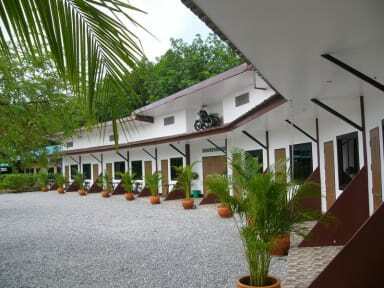 Each unit at Kevin Resort features air-conditioning, fan and a refrigerator. A satelite TV are offered in the rooms. 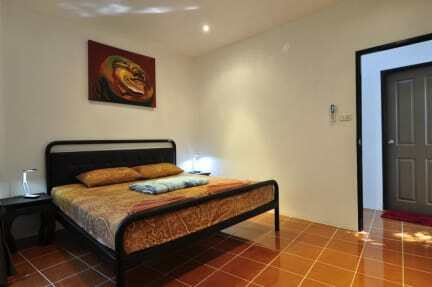 Its en suite bathroom comes with shower facilities free toiletries and drinking water. Kevin Resort is a family run motel. If you need to go around, you need your own transport such as motorbike or a car. - Free, One child under 7 years stays free of charge when using existing beds. - One older child or adult is charged THB 100 per person per night when using existing beds.